It is called My Community Alert, a Wellington-based company that allows HOAs, community managers and resident to send and receive alerts and bulletins. It can be anything from an approaching storm to a lost dog. I find it interesting to look at how communication has evolved. In particular to where we are today where with certain generations non-verbal real-time communication has become the majority of interactions. I come across this frequently when I tell people the fastest way to get a response from me is to text me not to call me. 07/10/2013 Did you Know That You Can Tie an RSS Feed into PageGate? Did you Know That You Can Tie an RSS Feed into PageGate? Using our RSS2SQL PHP script, you can have your RSS Feed write information to an SQL database. You can then use linked tables to tie that SQL database to PageGate's database. 07/08/2013 Did You Know That You Can Configure 2-way Messaging with a Cellular Modem? Did you know that you can configure 2-way messaging with a cellular modem? PageGate can use a cellular modem to send SMS messages directly to cell phones and the recipients can reply to the message. PageGate can then take the replies and forward them wherever you want them to go. 07/05/2013 Do You Know How Old NotePage Is? Note has been around for nearly 20 years and we are always happy to meet and exceed your expectations for message delivery software. NotePager Pro software and PageGate software can both send messages to cell phones, smartphones, pagers, email addresses, etc. When should you use NotePager Pro and when should you use PageGate? NotePager Pro software is for manually sending messages from your computer. PageGate software is for sending messages from network computers, your website or to integrate with another program or system. PageGate has a central database and runs as a Windows System Service. If you want to send a lot of messages to a large number of recipients - go with PageGate. NotePage software can send messages out using an internet connection, or a wireless device. NotePage software can send messages out a wireless device or cellular modem connected to your computer. The device/modem needs to support the GSM's AT commands, and needs SMS text message service with a phone company. 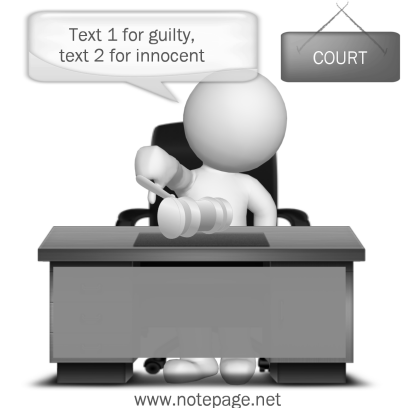 SMS and text messaging cartoons! Watch a step by step video to learn how to integrate Solar Winds Orion with NotePageâ€™s software. Verizon has blacklisted Windstream and is no longer accepting messages from anyone on Windstreams IP address or SMTP Servers. Unfortunately, there is nothing that can directly be done to fix that unless you have access to your own Exchange or other SMTP Server. Watch a step by step video to learn how to integrate PRTG network monitoring software with NotePageâ€™s software. Did you know PageGate Can Save Lives? PageGate can be tied in to computer automated dispatching systems in police departments, fire departments and hospitals, decreasing the amount of time it takes before an emergency responder is made aware of an issue. Almost every CAD system has at least one of the thirteen different data types you can use to tell PageGate to send SMS, pages or email and is an invaluable tool for most Emergency Management Agency. Did You Know PageGate can send messages to Facebook? If you use Tweetymail or TheFriendMail or any other email function for Twitter and Facebook, all you have to do is configure either program to send email to your tweetymail orFriendMail address! Did you know that you can host an SMS gateway or paging website with PageGate? Just integrate the GetWeb module with your existing web server and you can! NotePage has gone social, consider following us and liking us on Facebook, LinkedIn, Google+, Twitter and Pinterest. If you have not yet upgraded to PagGate v6 now is the time! The upgrade from PageGate version 5 for only $100.00, you can order online at http://sites.fastspring.com/notepage/product/6up be sure to have your 4-6 digit serial number ready when you order. We are also offering a limited time discount on Priority Support. We'd like to thank you for your continued support. It is through customer support and your suggestions that we've been able to continually improve the NotePage product line. 07/01/2013 Did You Know You Can Tie RSS Feeds into PageGate? Using our RSS2SQL PHP script, you can have your RSS Feed write information to an SQL database. Did You Know You Can Tie RSS Feeds into PageGate? Text messaging remains vital to businesses, both from a customer and an employee standpoint, a new survey shows. According to a survey of nearly 550 mobile phone owners, 36% subscribe to receive mobile messages from businesses, and 90% of them opt to receive the messages from one to five businesses. The study by Chicago-based wireless messaging specialist Infinite Convergence Solutions surveyed 547 consumers on their mobile messaging habits and behaviors. Out of band authentication â€” communicating with a customer outside of his mobile banking app to verify his identity or a specific transaction â€” is a generally respected means of deflecting mobile banking fraud. But RSAs Anti-Fraud Command Center on Monday found and reported on a Trojan called Bugat that has been updated to hijack out-of-band authentication codes sent to bank customers via SMS. This does not mean out-of-band authentication via text messaging is useless, but it can be compromised using a dated, unsophisticated piece of malware. With UFO sightings occurring on a daily basis, astronomers and companies are developing methods to communicate with extraterrestrial life via test messaging and a $1 billion telescope. According to Design & Trend, startup company Lone Signal intends to develop a way to send messages to faraway star Gliese 526, a star commonly believed to contain extraterrestrial life. The company reportedly wants to turn the space messaging venture into a business, using a leased radio telescope and allowing users to send up to four messages for 99 cents.